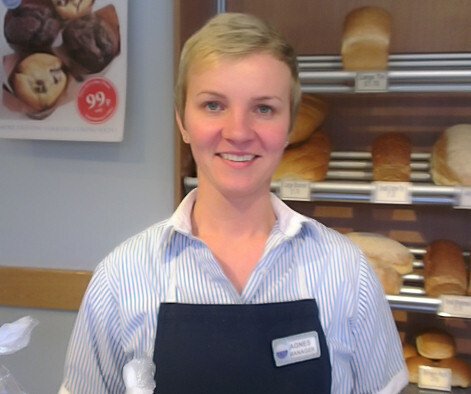 On Saturday (30th May 2015) Agnes Wisniewska, Manager at Days the Bakers in Standon, had her head shaved to support Cancer Research UK Kids and Teens Campaign. Customers, staff and locals filed into Bon Ami hairdressers in Standon to watch the big shave. Agnes set a target to raise £500 and she revealed that her gesture had already raised an amazing £1671.48. She was overwhelmed by the generosity of customers and friends and thanked everyone for their support. Anyone wishing to help Agnes smash the£ 2000 mark can either place donations in collection boxes at Days the Bakers or Standon Post Office, or they can text 'SHAV623' to 70070 to donate £3. Agnes is not stopping her fundraising efforts yet. She has already signed up for the Cancer Research UK Race for Life at Stevenage on the 12th July. Chair of CRUW (Cancer Research UK - Ware and Hertford, the local volunteer fundraising group for Cancer research UK), Alison said 'it is a very generous gesture that Agnes has made and we are so grateful to her, and all the people who have supported her by donating to this great cause'. CRUW was formed in 2010, and so far, has raised over £122,000 by organising fundraising events and store collections and by working with local individuals, groups, businesses and colleges in the area who wish to raise funds for Cancer Research UK. * Cancer Research UK Kids and Teens is a campaign to raise more money for research into cancer in children, teens and young adults(0-24 years). Cancer is the biggest killer of children under 14 in the UK and ten children are diagnosed with Cancer in the UK every day. * Cancer Research UK is a registered charity in England and Wales (1089464), Scotland (SC041666) and the Isle of Man(1103).